The king of 50s melodrama, director Douglas Sirk, famously remarked about the cheesy nature of his flicks, that ‘there is a very short distance between high art and trash’. 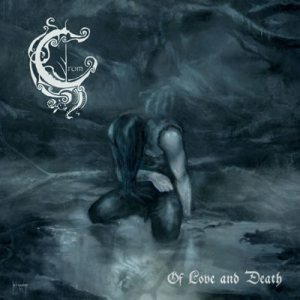 There’s something very relevant about the quote and CROMs “Of Love and Death”. The record is embedded in a gloomy type of melodrama, with huge passionate lyrics, ‘I will end my life tonight’, ‘I know my dreams are full of emptiness’ and ‘All I want is to be free’ - which is fine with a pacing of varied thematic material in between, but as a consistent rattle of the soul, one adapts far too quickly as each track ticks along. How can drama be hysterical, if it is constantly hysterical? 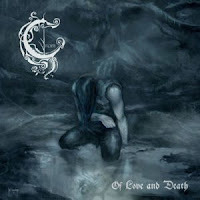 “Of Love and Death” suffers from displaying just the one emotion, which becomes weightless amongst its very reasonable, proggy extensions. ‘The modern Black Sabbath’. Allegedly these comparisons have been made, based on 9 Chambers music. This kind of nostalgic referencing can be likened to period dramas popping up on the television, which are meant for a pocketed audience, loathed in the longing of a post-modern world – which to this critic seems terribly boring. Things are OK when they change, not when the stay the same. There’s no ‘real’ rock and roll. ‘Real’ rock and roll is reborn every time this same hyperbole is produced on a press release. 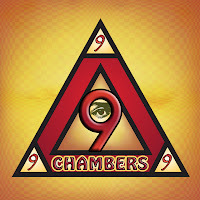 So being honest, what's making 9 Chambers so engrossingly poignant: the material here is a great guff of well crafted, well made, hard rock, which is born out of their past, regurgitating successful rock artists, Alice Cooper, Black Sabbath and ACDC. 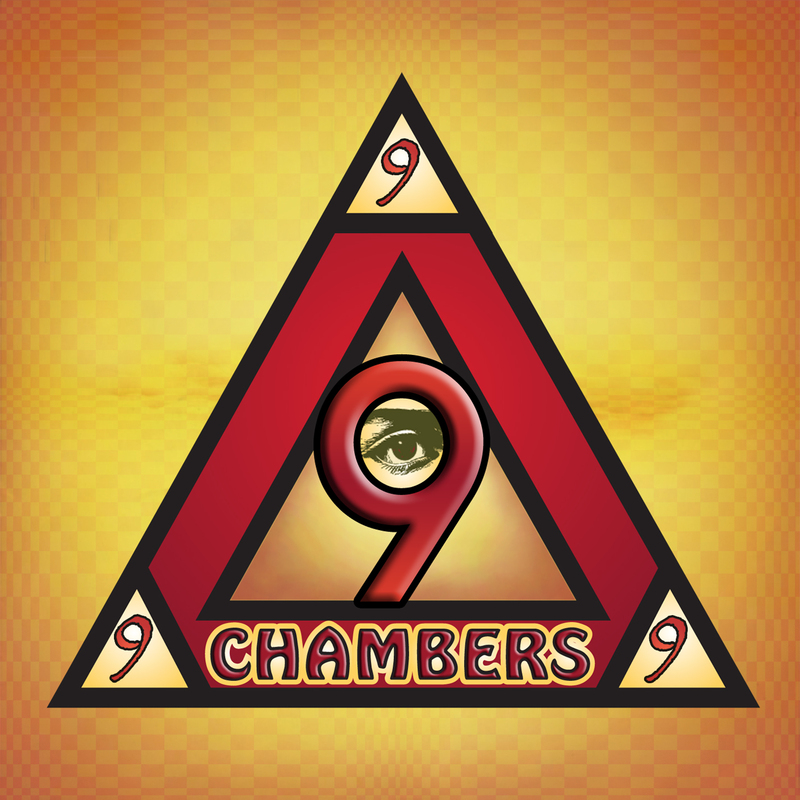 The individual members of 9 Chambers aren’t necessarily new to the block. 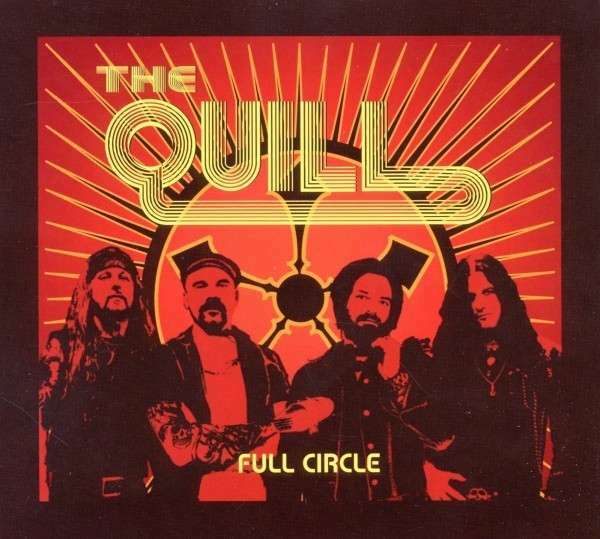 Co-creators, Greg Hampton and Ed Mundell used to play with Alice Cooper, and Monster Magnet respectively - thus it’s no surprise to hear such a crisp and well-balanced production. Between the searing harmonies on “Majick Number” or the drama of chorus on “Know Your Enemy” this is material that’s being pulled off with an age of expertise. These noisy veterans have grown well, and kick back their brand of rock with a sense of instinct, which is very hard to unearth inside of the darker corners of our rockworld. A big speech laden in orchestral sound, that’s tagged as some battle cry before the music crescendos, and… we’re off! 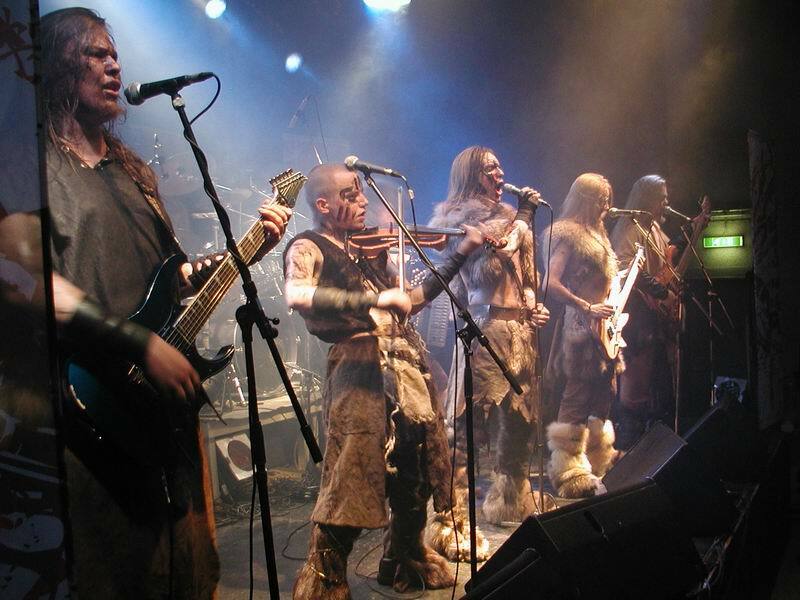 This is the kind of power-metal only made commercial through its traditional setting; as to the naked ear, it’s a load of Scandinavian metal riffs with the sounds of violin strings on top, a synthesised accordion mixed in, and theatrical vocal work to guide it all. 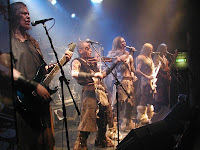 Turisas then, aren’t necessarily judged on what they produce, but about putting up frontier for it all. The face-paint, the booze on-stage, the otherworldly costumes, the daft haircuts; this was a show about spectacle rather than sound, and in its skittish way, it worked. This was mostly part of the tour promoting their recent release “Stand Up And Fight” which in its simplicity won over the crowd for a rootsy headbang, in the kind of child-like nostalgia power and Viking metal holds it foot in. Opening with “The Great Escape” kept heads thwacking right through to the more technical “Five Hundred And One”, with the show eclipsing in fan favourite “Battle Metal”. Turisas won’t hang around the memory banks for musical nuances, but for sheer stage presence - front man, Mathias Nygard (or the aptly named Warlord Nygard) is a man possessed, with and without his body paint. Be baffled, and glimpse into “No Man Is An Island’s” press release notes, ‘Conceptual, progressive, art-rock’. 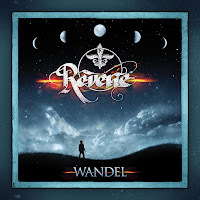 It all reads brainy and sophisticated, but the literal translation from disc to paper, is that this is a simplistic metal album, bolstered by a carefully planned production, which warrants at least ten gold stars. Why does this matter? Because a pretentious claim often seeks to cover up insecurity. This is big sounding metal – and it’s all the better for it, outside of Dean’s awry, artsy claims. Yes, there is much to applaud here: the huge, effective stage entrance on track “God Help Me”; the aggressive wall-of-sound which characterised Pantera, whacks with overwhelming impact on track “Do I Care”; and the personality inside of the late Exodus sounding “Reptillian Girl” has the ability to move you into a jive – subtle? We think not. Ultimately, the records fabric is what reeks havoc with it achieving a certain amount of greatness. 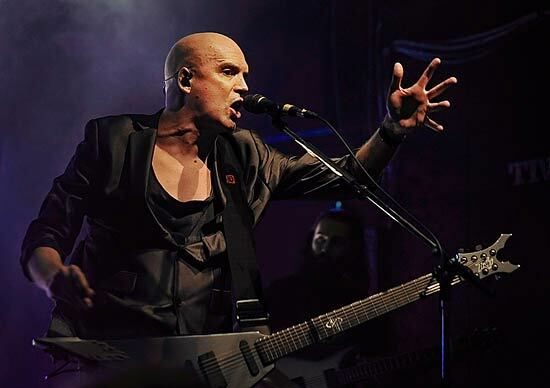 Dean has written the entire album with his vocal taking centre stage, but his voice lacks the power of variation to carry the kind of drama he can wave through his talented guitar playing, rendering much of the fifty-five minutes precariously flat. 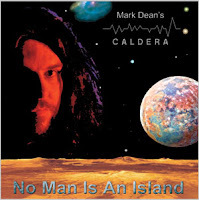 “No Man Is An Island” is an exhausted effort because of its one-manned perspective; although valiant, Dean hasn’t explored enough thematically to make this into what should be, more than an accomplished effort. It’s a prodigy, droves flocked in over two hundred people, went to cheer on the Devin Townsend Project, who are wrapped in the kind of zaniness, charisma and gimmick which Mark Zuckerberg could never get away with. This show wasn’t about the fifty nerds at the front, waving Ziltoid dolls in the air, this was a carefully plotted metal show, with less of the baldy middle-aged bloke behind “Ghost”, and more of the angry boy in front of “Deconstruction”. A common theme spanning through, in particular, Irish folk gigs is the idea of playing something airy and ambient through the PA before the lights go up, to not only set a kind of laid back mood in the room, but to emphasise the effect of jiving when it eventually gets going. Townsend implores a similar psychology, except while the roadies are setting up, a ‘radio’ ‘Ziltoid 5.3’ gets going, playing stuff like Aqua’s “Barbie Girl” and Beyonce. Not only did it work in getting the crowd full of laughter in anticlimax, but it also served to misdirect them, so that when he eventually chugged into “ZTO”, it looked like their face had hit the wall. It’s hard not to notice a lot of his older productions sounding enhanced live, and it’s a worthy cosmetic touch. Reproducing “Seventh Wave”, “Deep Peace” and “Bad Devil” they had much greater guile live, than their usual habitat on CD. Two tracks ripped from Deconstruction were played, “Stand” and “Juular” which served to pulverise the crowd, and the double encore finish got quite a few laughs in its irony – he twice told the audience to ‘shut up’ while playing through “Heaven Send” off “Ki”, which got this snotty nosed critic teetering, and completely on his side. 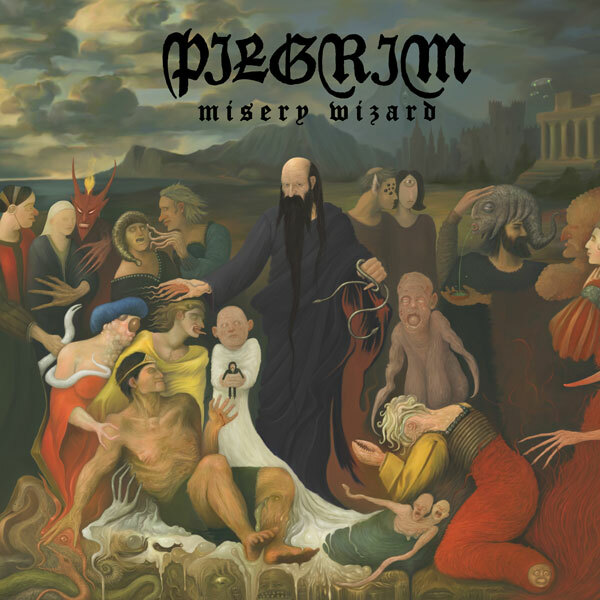 One might think that what characterises a doom metal act is their focus on downtuned, brutal guitar riffing, (and you would be no mug in making that assumption) but what Pilgrim manage to achieve is a kind of hypnotic suspense, starving you of any vocal before it kicks in to tie all of the loose sludge together. 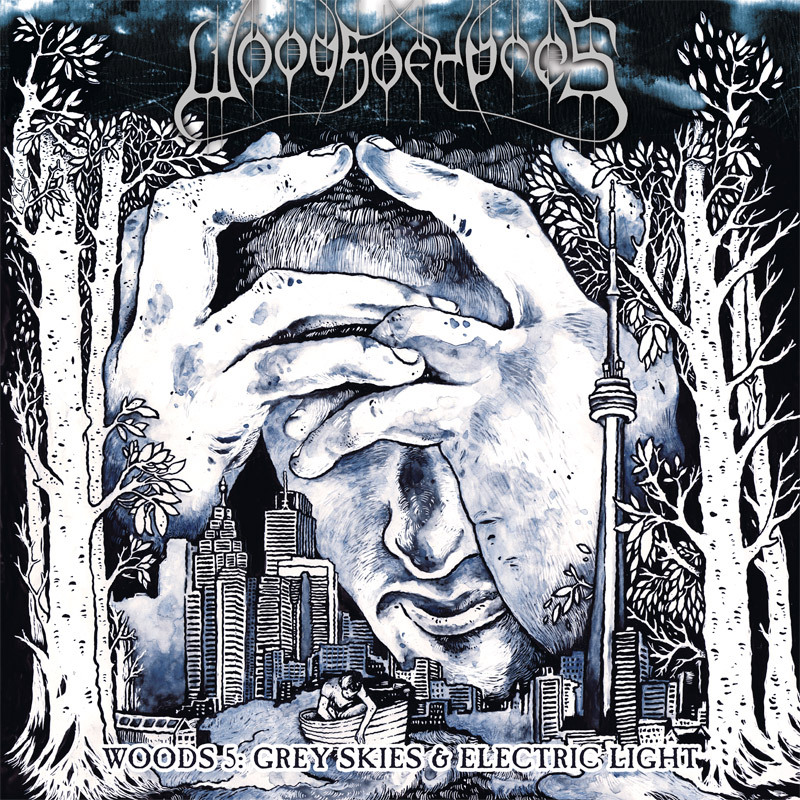 It feels huge, and its artistic restrictions only emphasise a power within their sound. This reductionist approach is fearfully welcome in an age of crisp, overcooked studio production. 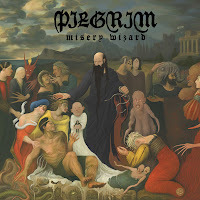 Pilgrim labour through each arrangement using their own heads instead of the tools heard through the new gizmos littered on the latest mixing desk, and it attaches an authenticity to their devoted 70s sound. This certainly isn’t for everyone though. Its niche is in downtuned gloomy metal, and its majesty can only be realised through a kind of patience newcomers will need to bargain for. Deaf Horse may not have the edge over dirt rock, but their compositions are busy enough to keep a criticism at arms length. This then, isn’t a great position to be in. It’s OK to drive someone fast enough to a degree of appreciation, but taking the other road to apathy is something very much undesired. Who wants to hear an artist within an exhausted genre producing something stuck in its middle ground? “Out to Sea” does a fair job at imitating that dirty sound which characterised Queen’s Of The Stage. Front man Ben Noble, in one sense wreaks out of place, with a skinny, clean vocal, on top of the fat and ugly distortion. In another light, what they’ve produced here is quite clever. 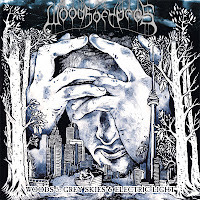 It feels like a bridge between an indie-rock and stoner production, with enough guile and likeminded riffing in the two genres to perhaps satisfy both sets of fans. Then again this encapsulates Deaf Horse’s problem: they sound in transition, and it’s difficult to unearth poignancy about their sound, which should be present. It’s not as if they’re under-performing. They really do try. 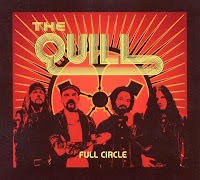 The Quill ought to be in the company of the next Mission Impossible soundtrack; it’s the kind of rock that’s best implored when wearing a set of sunglasses and that old leather jacket which now doesn’t fit. Emblazoned in the rosy nostalgia of Black Sabbath and Metallica, romping full of harmonies, adrenaline packed riffing and structured song writing, this is an album this critic was certainly caught up in. “Medicine” is reminiscent of Metallica’s “I Dissapear”, while track “Full Circle” feels like something ripped from the Wylde archives of BLS, hurtling toward the southern devastation of Damageplan. Superlatives are great at demonstrating the niche which The Quill operate in, but it would be plain naïve not to recognise the kind of capital which the record represents: it’s artistically appalling because of a lack of invention and refreshed ideas. It’s simply happy to host a party, essentially made by much more accomplished acts, and put it on as their own. Don’t be fooled, this is music for being lulled in the kind of suppressed job that is telesales. Good fun - not much else. 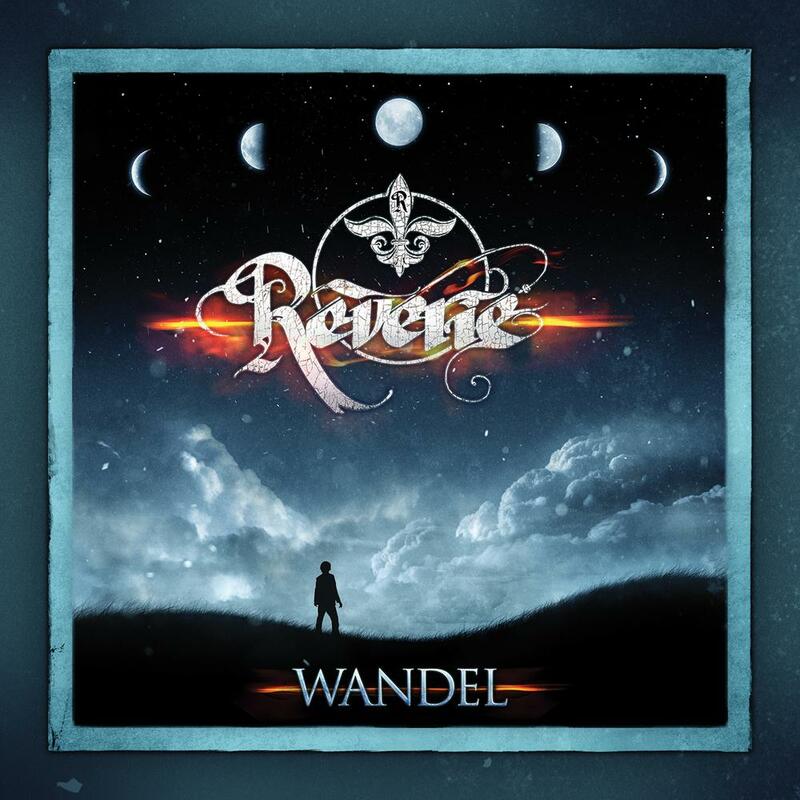 Sparsity is the name of the game, and Wandel tries to exploit the idea of holding everything back and then letting rip into its choruses. Jumping from a treacle of piano keys to multi-layered metallic chugs is interesting, and certainly provides a wake up call to the sleepy dithering which came before it. This said jump from gothic loathing (piano) to gothic anger (guitar) continues in relatively predictable steps throughout the records length. Hearing this re-hash of the same theme makes an entire playback moot; it doesn’t break the album, and it certainly doesn’t define it. Progressive music isn’t defined by track length and how many riffs tend to edit and cut between the other; it’s more importantly been about whatever’s inside of the pool, which the lengthy tracks tend to swim in. Everwood are known as a progressive rock outfit, but would dare to dream to live in the same proggy habitat resident to King Crimson, Dream Theatre, and King’s X, as they tinker through their eclectic sound of distortion and neo-synth’d keys with little substance. To batter the point further: this is music built surrounding the vocal, ergo, it needs to carry strong vocal performances, which must be kept interesting throughout an entire playback. 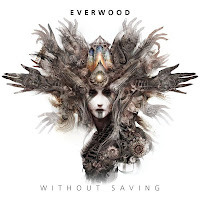 On both accounts, Everwood are far off the mark. The band feels wooden, trying to play a brand of rock, perhaps unnatural and beyond their abilities. The eastern styled synths on track “Desert Sun” certainly plays on the correct scale, but sounds without depth inside of the mix. The melodramatic vocal on track “Free” doesn’t convey any sense of drama because, vocalist Matyas Haraszti, struggles with the choruses’ higher range. “Without Saving” cries for a kind of leadership, to guide each track through the mazes, but it falls flat when the musicians start scratching their heads.